City officials on Wednesday formally closed on a deal to sell the upper two floors of the historic Armory building on Lower Thames Street to the National Sailing Hall of Fame for $1,685,000. The sale was initially approved by the City Council in July of 2018 following several months of negotiations. A separate Council vote in September approved the division of the property into two condominium units. 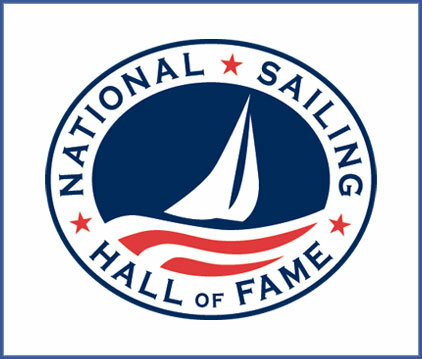 This news comes just days after the R.I. Commerce Board of Directors approved $200,000 in incentives for the National Sailing Hall of Fame under the First Wave Closing Fund program. As part of the agreement, the City will retain ownership of the building’s lower level unit, which serves as the home of the Newport Maritime Center and will continue to maintain exclusive rights to the adjacent Ann Street Pier, beach and right of way. The Armory Antiques Marketplace will also remain open for business through the duration of the 2019 Summer season while plans are finalized to convert the upper floors of the historic building into a state-of-the-art museum and exhibit space. That sentiment was echoed by Cindy Lee, who manages the Armory Antiques Marketplace. “We’re very much open for business and are looking forward to welcoming visitors to Lower Thames Street once again this summer through October 2019,” she said in the press release. According to Lee, this summer will mark 25th years since the Armory was first used as an antiques center. “I’d really like to thank the Hall of Fame for giving us the chance to mark this important milestone. And although this might be our last year in this building, we remain hopeful that we’ll be able to secure a new space for our roughly 80 vendors in the near future,” she said. Located at 365 Thames St., the Armory was originally built in 1894 as one three such facilities positioned around the state to house local militia and was later used by the state National Guard and U.S. Naval Reserve. However, with its close proximity to Newport Harbor, the building also has ties to the City’s sailing community as well. In addition to serving as the home of the Newport Maritime Center since 2012, the main level was also used as the press center during the City’s America’s Cup heyday of the 1960s, ‘70s and ‘80s. 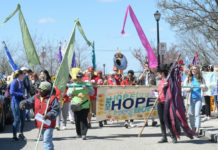 In 1983, the state ultimately conveyed the property to the Redevelopment Agency of Newport, which held possession of the building until 2010 at which time it was formally transferred to the City.